The Auto Trade Expo is a must attend event for mechanics, after sales managers, garage managers and many more positions in the auto industry. 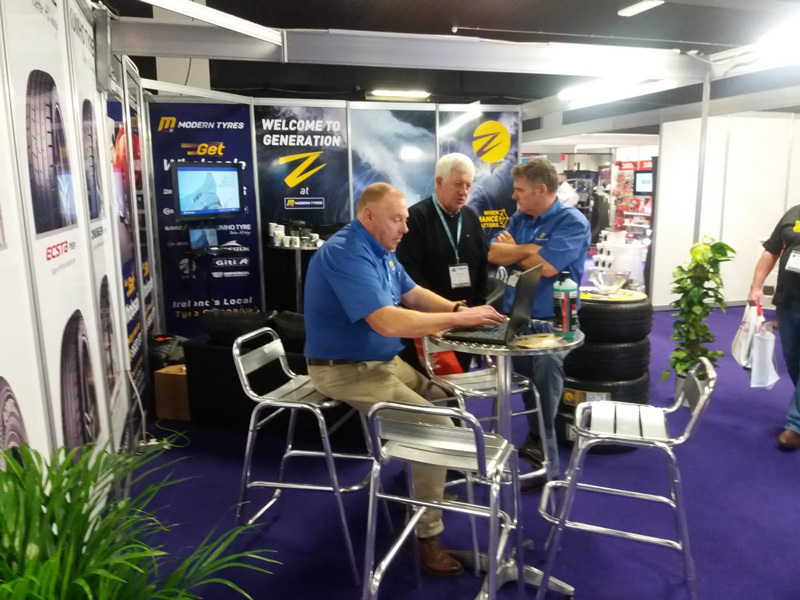 Held in the Citywest Hotel, Dublin, the Auto Trade Expo is one of the biggest EXPO’s of it’s kind in Ireland. 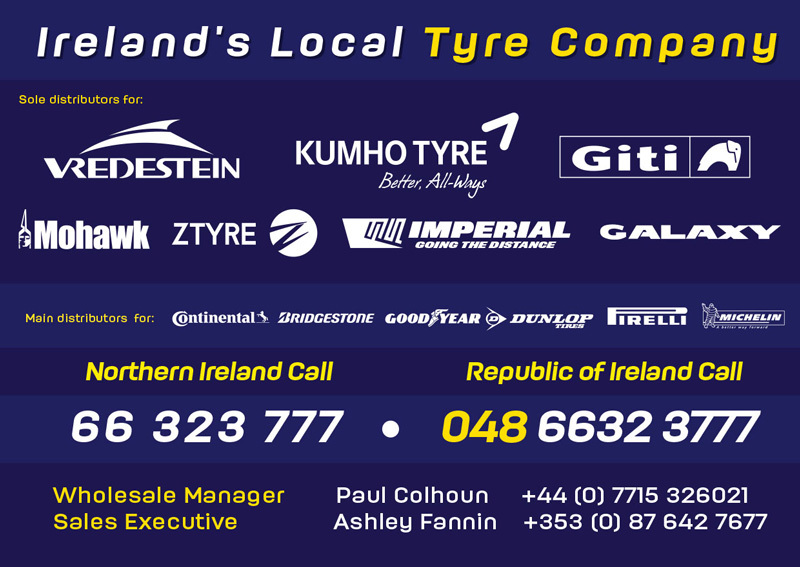 Modern Tyres, Ireland’s Largest tyre retail store and wholesale distributor, perfectly paced within the arena to deal with all vehicle aftermarket sectors including cars, vans, 4x4’s light commercial, heavy commercial and agri. 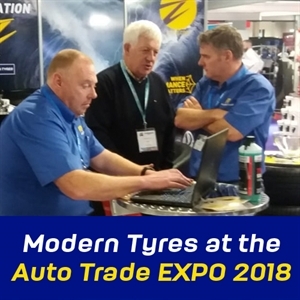 Paul Colhoun (Modern Tyres, Wholesale Manager) and Ashley Fannin (Modern Tyres, Area Sales Manager) were on hand to deal with existing and potential customers highlighting the merits of using Modern Tyres with an extensive portfolio of the top tyre brands in the world.